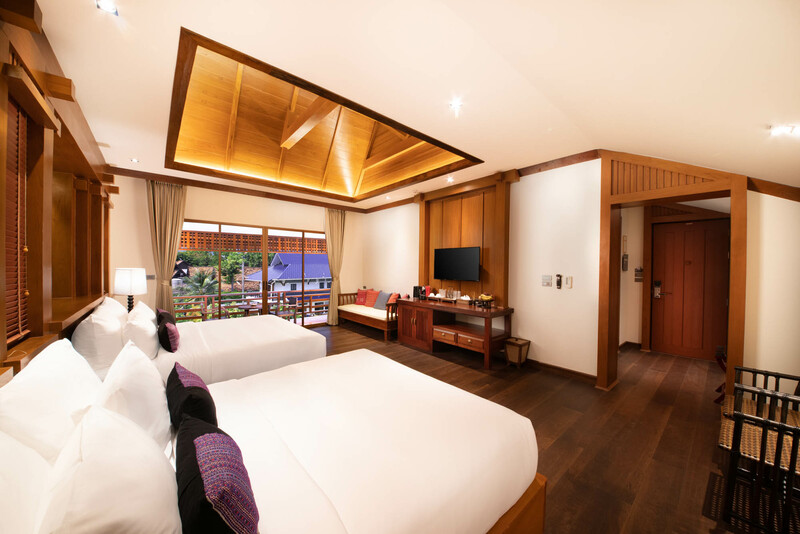 It is suitable for big family or 4 persons and spacious room which is decorated by genuine teak wood. 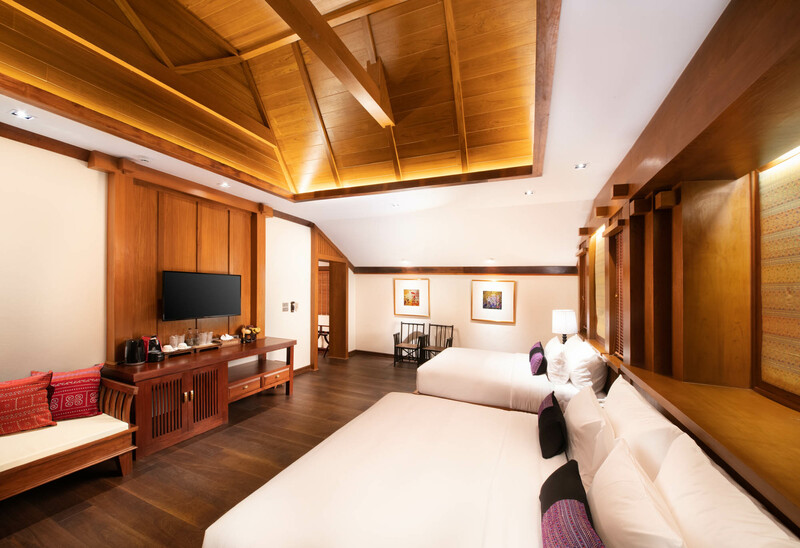 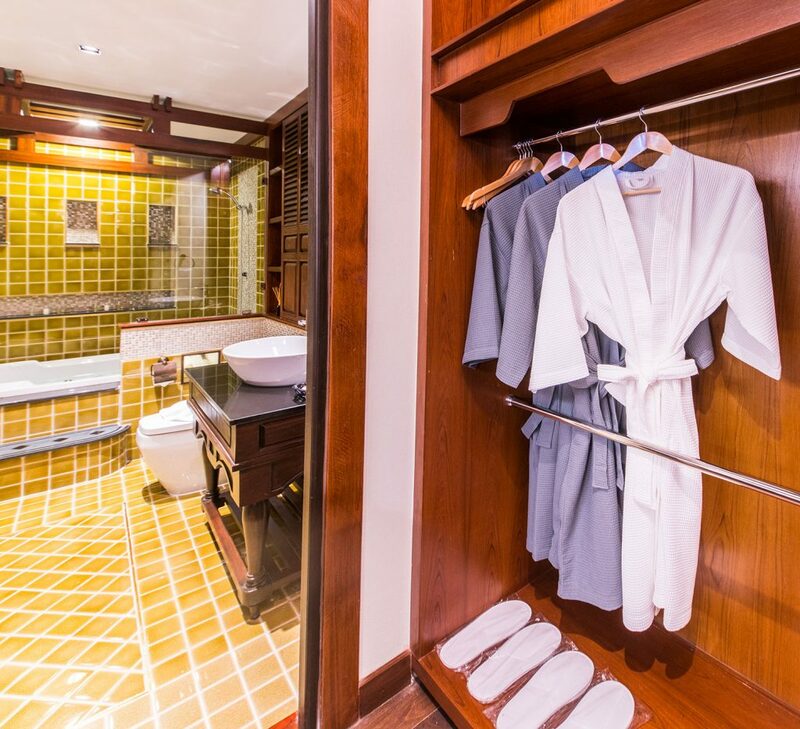 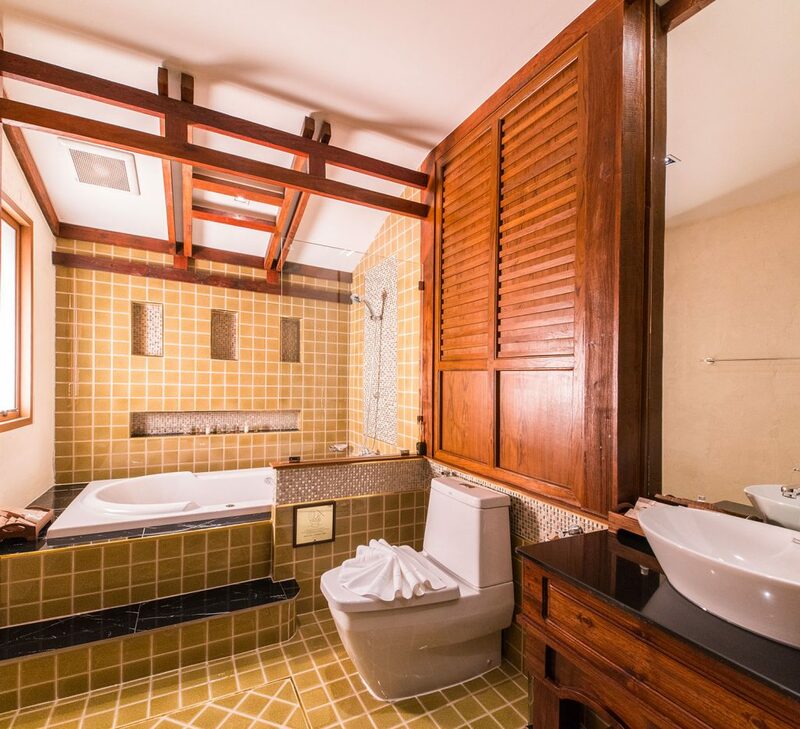 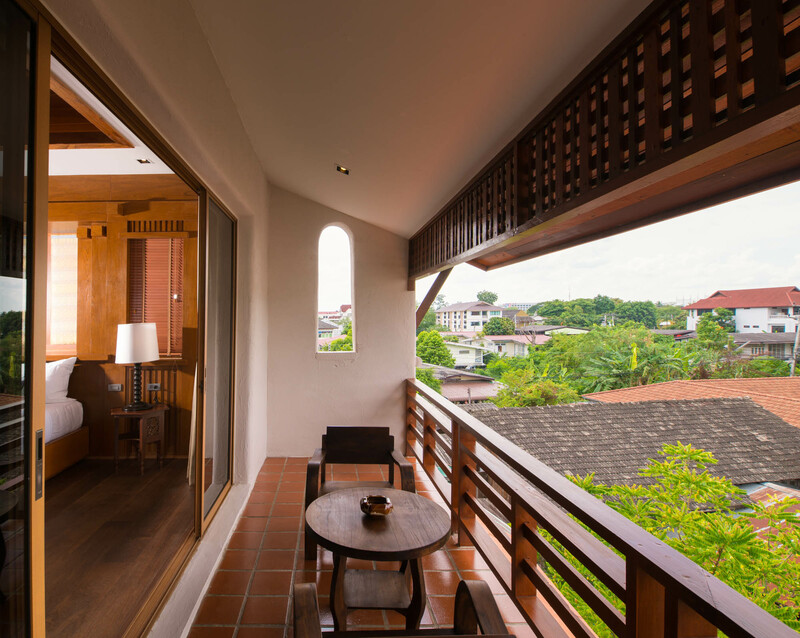 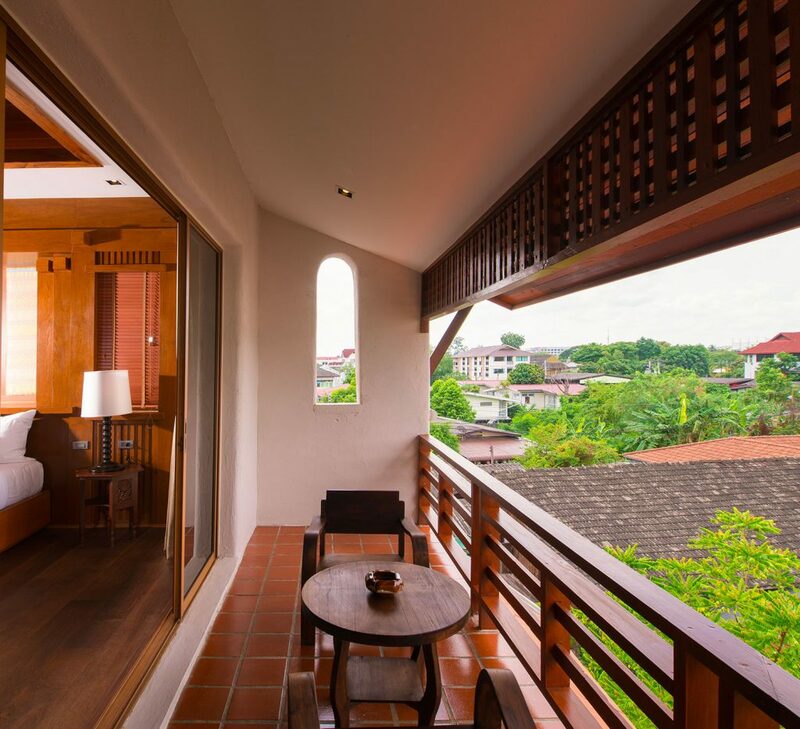 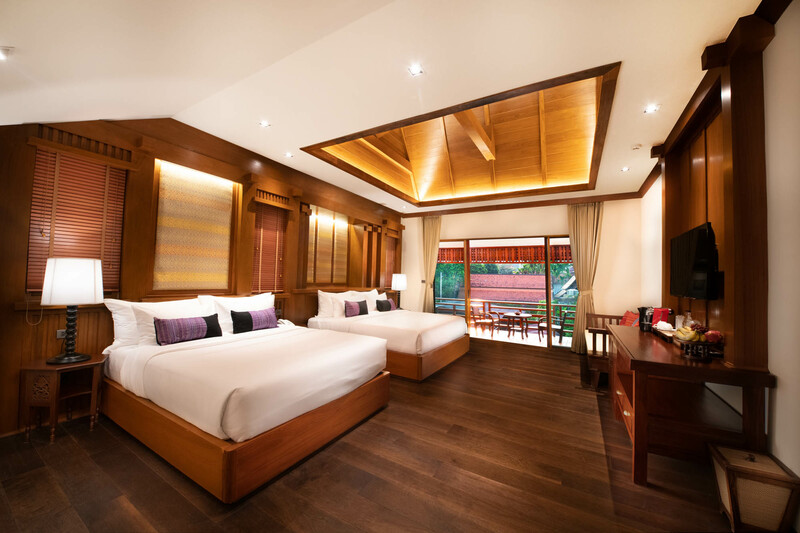 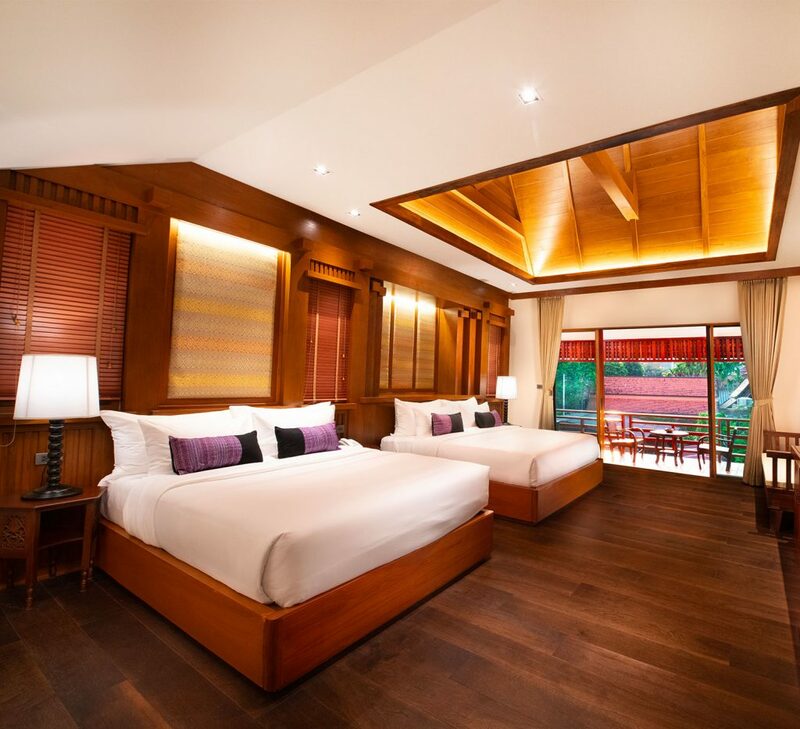 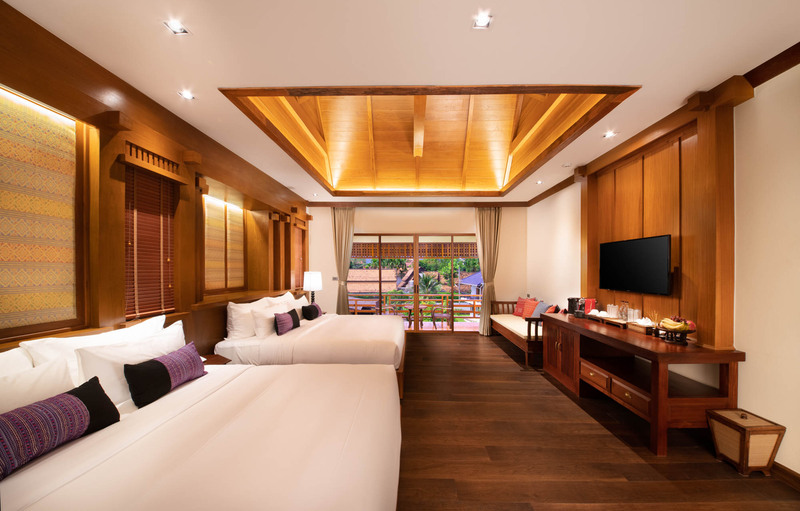 This room is designed in bright brown tone for luxury and warmth as Thai traditional house. 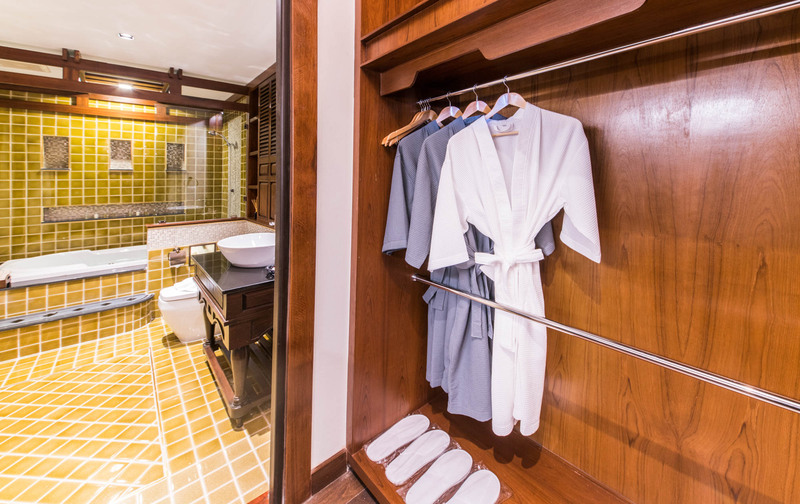 In the room is scented by natural perfume 100% and we offer skin care products from WANWAAN brand including with snacks, seasonal fruits, mini-bar for free. 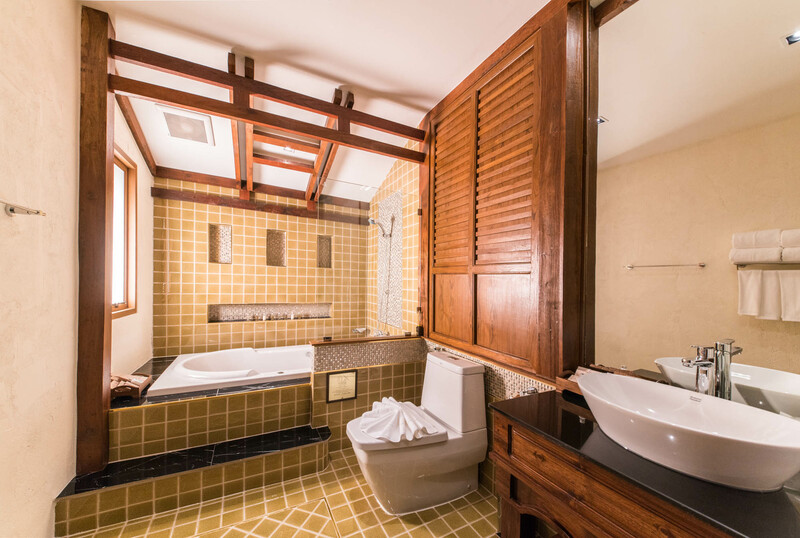 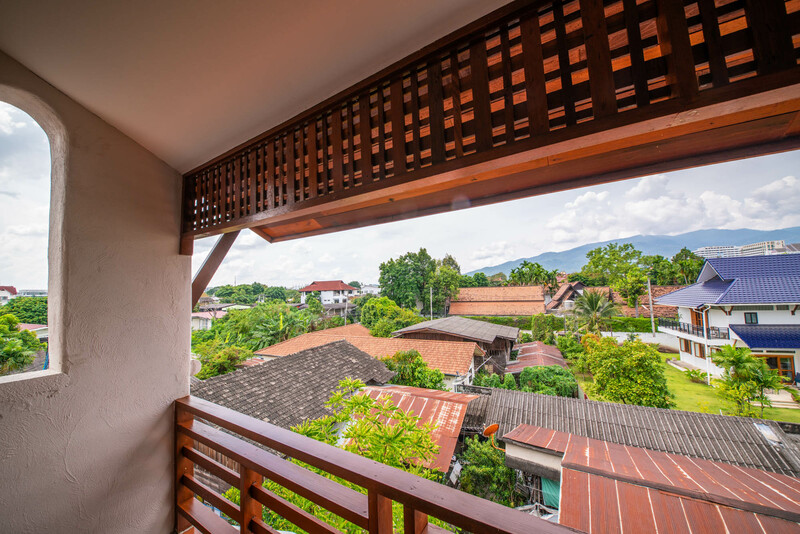 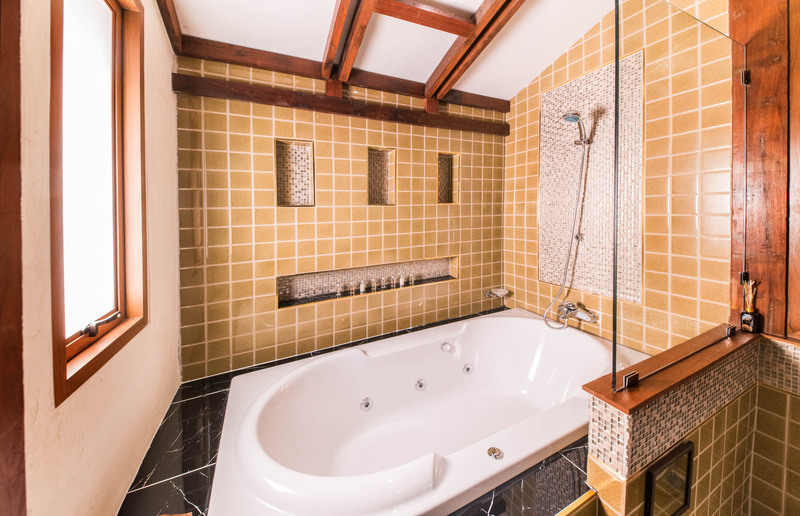 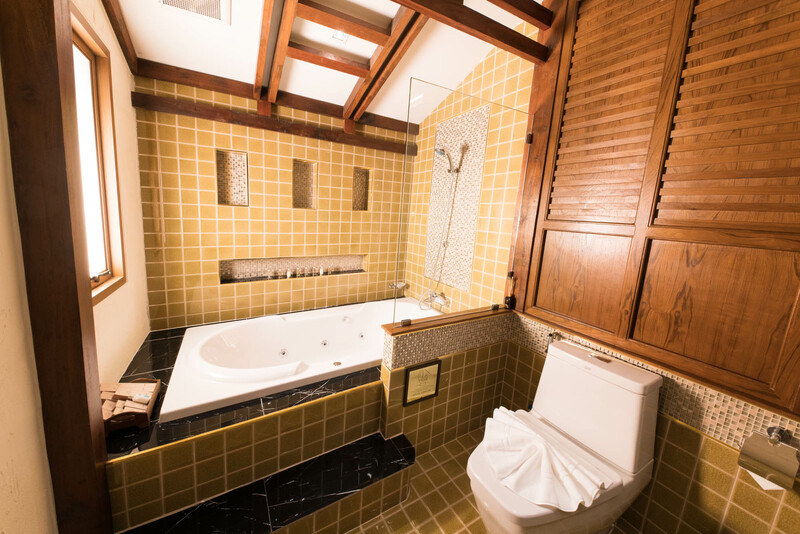 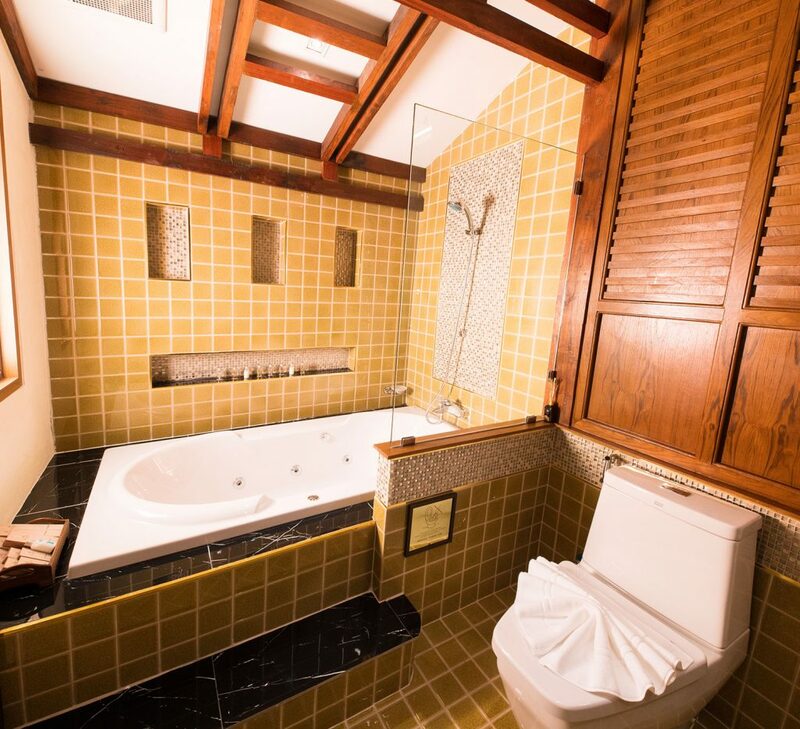 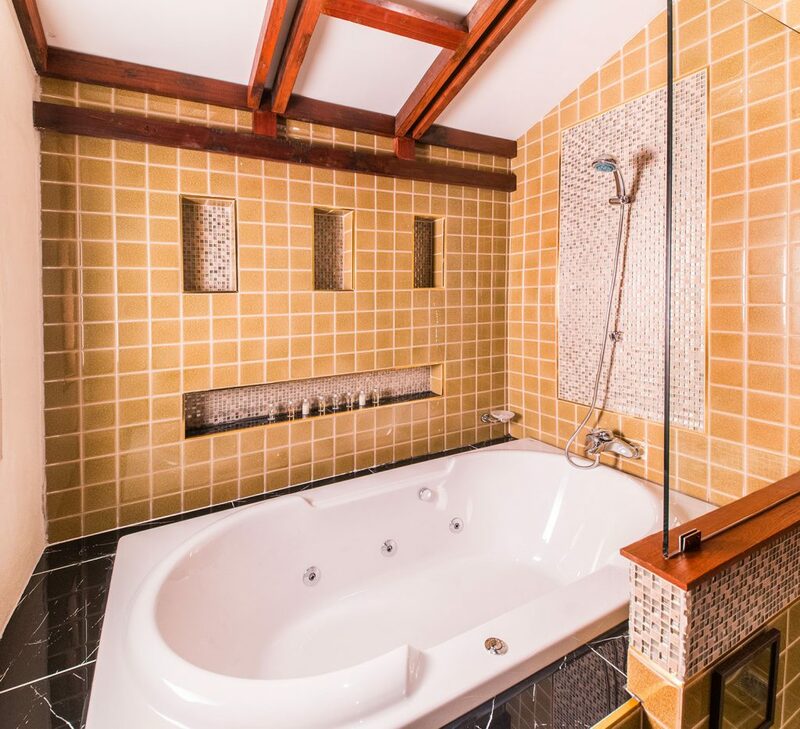 To be relaxed before asleep by soaking in a private jacuzzi in the room with a large balcony that is able to see the city view and stunning sunset view in the evening with Doi Suthep. 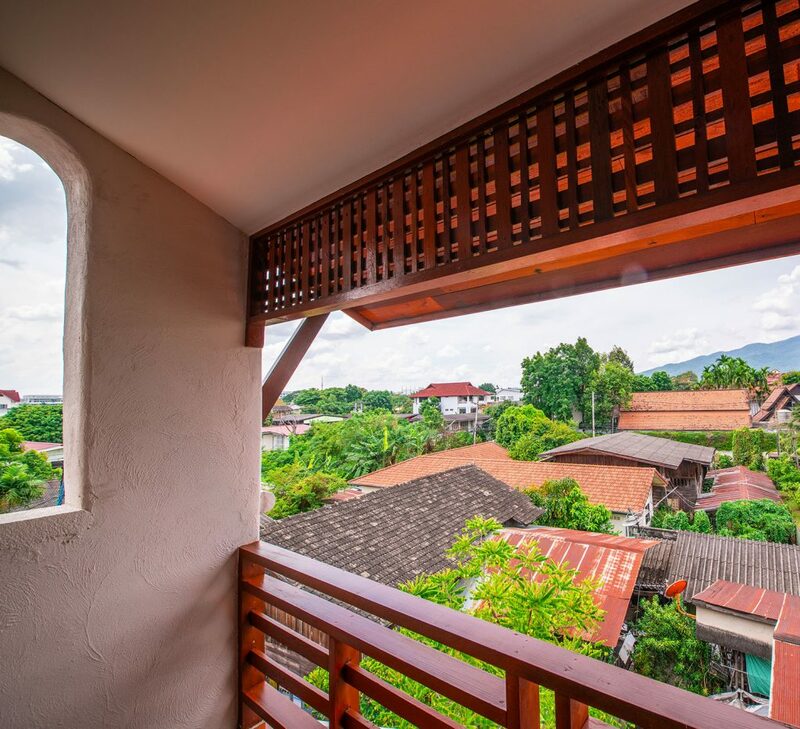 High speed internet sympathize person who like to watch TV programs with Netflix.